Location, Location, Location  China To Own The Moon? Las Cruces - A U.S. space entrepreneur, Robert Bigelow, has sounded alarm that China could own large portions of the moon by 2026, edging out the United States in the race for ownership of the Moon. Mr. Bigelow made this warning at the 2011 International Symposium for Personal and Commercial Spaceflight on Wednesday. "...we don’t own one square foot of the damn place. NASA is a shadow of the space agency it once was in the 1960s and 1970s." The American space entrepreneur, whose company Bigelow Aerospace, is building human colony labs and private inflatable space modules for both government and commercial ventures, said under present international laws, any nation could claim ownership of lunar territory it occupies through continuous human presence. Mr. Bigleow spoke of the potential benefits of staking out a claim to lunar territory. Lunar territory could bring great economic and financial benefits to a country, Mr. Bigelow explained. The lunar surface contains vast resources, such as helium-3, which could become a fuel for nuclear fission. The lunar surface could also become, in the future, an important base for launching space explorations. Owning large swathes of lunar territory could also be a matter of national prestige. Mr. Bigelow thinks the U.S. is already losing the race to "own the moon." He believes that by the time the U.S. government is ready to claim lunar territory, large portions of it would already have been claimed by other countries. Mr. Bigelow suggests the U.S. could develop an alternative program for Mars. He said if the U.S. government puts aside only 10 percent of the money it is spending on foreign wars it might be able to establish itself on Mars. Mr. Bigelow, however, suggested the U.S. could go into partnership with China, instead of competing. Mr. Bigelow's warning reflects growing concern among U.S. space entrepreneurs about impending legal issues of space property rights since India, Japan and China joined the space race. According to Space.com, there are two legal schools of thought on issues of space property rights. There is a school of thought which promotes space territory as the "common heritage of mankind," and believes space territory should not be appropriated by any nation. The United Nations Outer Space Treaty of 1967 ratified by 98 nations, is based on the "common heritage" school of thought. The U.N. "Outer Space Treaty" states space is the "province of all mankind," and is "not subject to claims on sovereignty by States." "Homesteading is likely to transform the lunar desert in the same manner as it transformed the 19th Century United States. Space is indeed a new frontier calling for individualism rather than collectivism, and its challenges need to be addressed with a legal regime favorable to property rights...Property rights are a useful engine and, in all likelihood, a precondition for pushing forward the development of the extraterrestrial realms. Securing property rights would be more beneficial to humankind, compared to the alternative of keeping the extraterrestrial realms undeveloped." 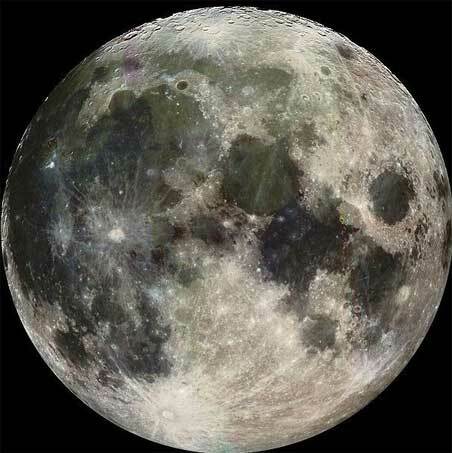 In recent times some private groups and individuals have claimed ownership of moon territory and some have been selling parts of their "moon estates" through "Lunar Deeds." CNN reported on Francis Williams, who calls himself the "Lunar Ambassador of the United Kingdom," and claims ownership of extensive moon estates. Mr. Williams claims he has sold 300, 000 acres of "moon land" since he founded the company MoonEstates. Anyone who purchase a piece of "moon land" from his company receives a "Lunar Deed" and a "moon map" with an "X" marking the approximate location of his extraterrestrial property. CNN explains that holders of "Lunar Deeds" are banking on exploiting a loophole in the 1967 United Nations Outer Space Treaty which only forbids countries from owning "moon land," but says nothing about private individuals. There is, however, an international Moon Treaty that came into force in 1984. The treaty was designed to block the legal loophole "moon land" buyers are hoping to exploit. The treaty prohibits private ownership of "extraterrestrial real estate." But fortunately for "moon land" owners, only thirteen states have ratified the agreement, excluding most of the nations in the forefront of the space race.